7. Single-twist type with single cutter and side lip. 8. Screw threaded centre point for precisely locating the bit and for fast self-starting of the hole. 9. 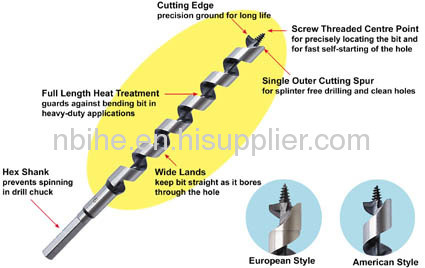 Spu-free cutting edge can be used where small nails and other foreign materials are encountered. 10. 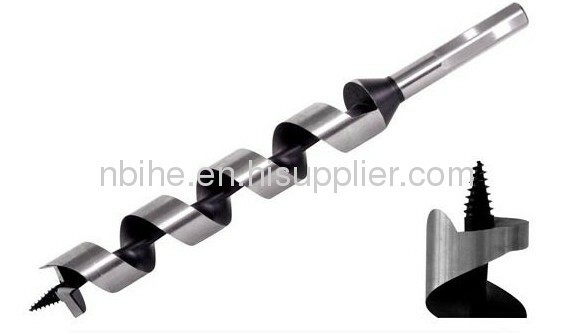 Hollow center flutes clear chips quickly out of holes. 11. Wide lands keep bit straight as it bores through the hole. 12. Full length heat treatment guards against bending bit in heavy-duty applications. 13. For drilling in large timbers, telephone and power poles, on docks and bridges, in mining and heavy construction, chipboard and plywood. 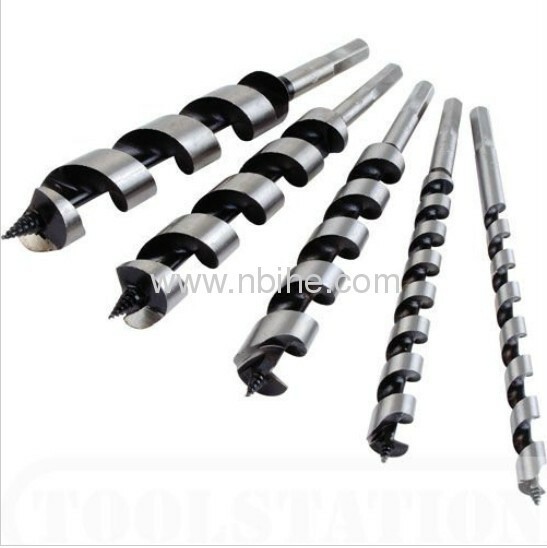 Fractional Sizes (Inch): Diameter: 1/4", 5/16", 3/8", 7/16", 1/2", 9/16", 5/8", 11/16", 3/4", 13/16", 7/8", 15/16", 1", 1-1/8", 1-1/4", 1-3/8", 1-1/2" Overall Length: 4", 5", 6", 8", 9", 10", 12", 16", 18", 20", 24", 26"